05/09/2018 “Ohhh. 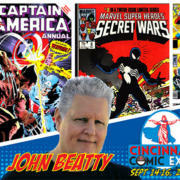 Momma Mia!” Actor Charles Martinet will be attending the 2018 Cincinnati Comic Expo! “Ohhh. 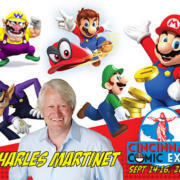 Momma Mia!” Actor Charles Martinet will be attending the 2018 Cincinnati Comic Expo! Since 1990, Charles has been the voice of Mario in the Nintendo video game franchise, plus the voices of Luigi, Baby Mario, Baby Luigi, Wario, Waluigi, Toadsworth, and others. In addition to the Mario games, Charles has voiced many other games including Super Punch Out! !, Skies of Arcadia, Shadow of Destiny, and dozens more. Charles has appeared on camera with roles in numerous films and television shows. 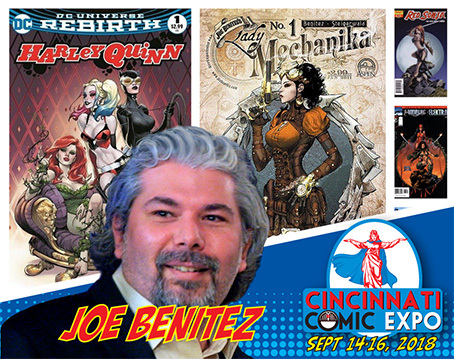 05/08/2018 Comic artist and creator Joe Benitez is returning to the Queen City for the 2018 Cincinnati Comic Expo! 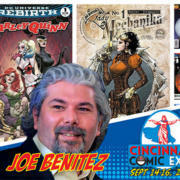 Comic artist and creator Joe Benitez is returning to the Queen City for the 2018 Cincinnati Comic Expo! Joe is widely recognized as the creator of Wraithborn, Lady Mechanika and the co-creator on Weapon Zero. His artwork has appeared in numerous publications, such as Titans and Superman/Batman with DC, Magdalena and The Darkness with Image Comics, and Aspen Comics’ Soulfire. Camren Bicondova, who currently portrays Selina Kyle on Gotham, is the newest guest added for the 2018 Cincinnati Comic Expo! Before Gotham, Camren was recognized for her dancing and seen in numerous music videos and projects, such as The PULSE on Tour and America’s Best Dance Crew. Camren has appeared on the silver screen in the movies, Battlefield America and Girl House. For the last few years, Camren has starred as the young version of Catwoman and voiced the same character for the animated motion comic, Gotham Stories. 04/25/2018 – William Zabka Brings Cobra Kai! 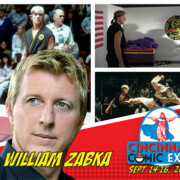 Prepare your crane kick because William Zabka will be attending the 2018 Cincinnati Comic Expo! Best known for his role as Johnny Lawrence in The Karate Kid franchise, Zabka is portraying Johnny again in Youtube Red’s upcoming Cobra Kai series. Since the mid-1980’s, fans are also familiar with his work in National Lampoon’s European Vacation, Back to School, The Equalizer television show, Hot Tub Time Machine, several guest appearances on How I Met Your Mother, and many other projects. 04/18/2018 – “Phil? 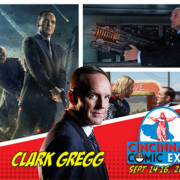 His first name is Agent.” Clark Gregg Is Coming To Cincinnati Comic Expo! “Phil? His first name is Agent.” Clark Gregg, who currently portrays S.H.I.E.L.D. Agent Phillip J “Phil” Coulson, is the newest addition to the lineup of guests for the 2018 Cincinnati Comic Expo! Clark will be appearing SATURDAY ONLY at the Expo! In the Marvel franchise alone, Clark has appeared in Iron Man and Iron Man 2, as well as Thor, The Avengers, Ultimate Spider-Man, Marvel Heroes, LEGO Marvel’s Avengers, and more. He can be currently seen on Agents of S.H.I.E.L.D. and Coulson is expected to be shown in next year’s Captain Marvel. Clark is also recognized as FBI Special Agent Casper from The West Wing drama series and starring in the sit-com The New Adventures of Old Christine. In film, Clark’s credits also include The Usual Suspects, 500 Days of Summer, The To Do List, and numerous other features and programs. 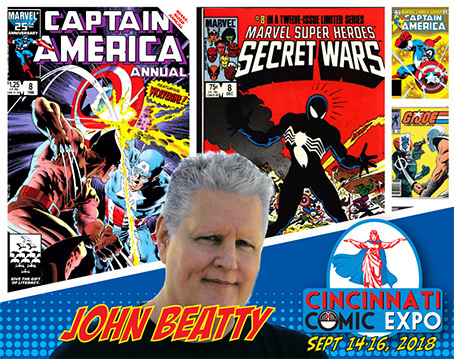 Get your admission tickets to the 2018 Cincinnati Comic Expo for an opportunity to get an autograph and photo with Clark Gregg: goo.gl/R4ZeWa. Watch for details coming about Cobie Smulders and Clark Gregg duo photo ops! 04/09/2018 – The Nikolaj Coster-Waldau Experience Package is here! The Nikolaj Coster-Waldau Experience Package is here! This package includes a ticket to get an autograph from Nikolaj, as well as one professional photo with Nikolaj, plus a commemorative keepsake badge, line access to bypass the general public for Nikolaj’s autograph, and priority seating at Nikolaj’s panel session. All the details are here: goo.gl/WXJ95v. There are also some FAQs listed. Photo-ops, without the package, will be available soon. 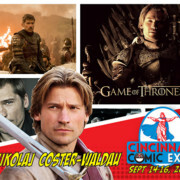 This is just the announcement and launch for a package for all of the benefits that Nikolaj will offer at the 2018 Cincinnati Comic Expo! Packages will be limited for each day and this is your opportunity to get all of them ordered right now at goo.gl/R4ZeWa in the Extras Section. 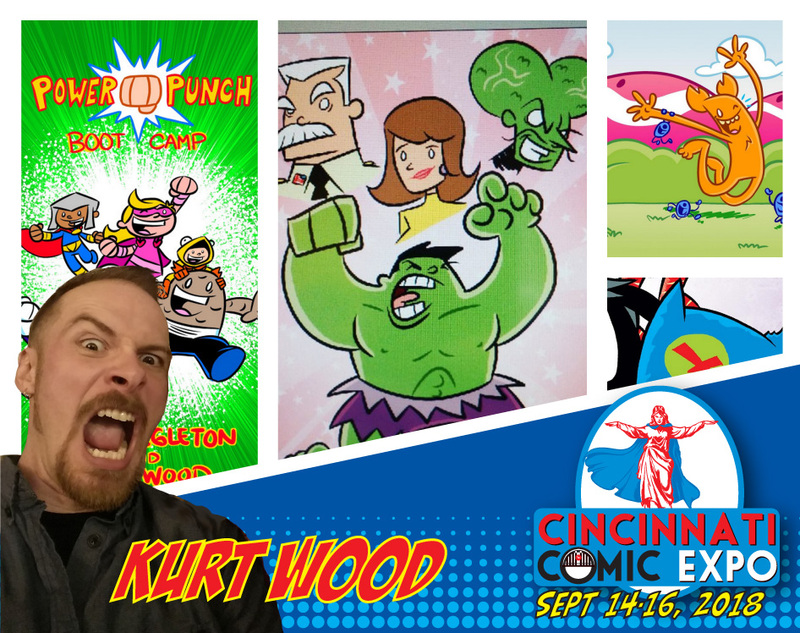 Artist Kurt Wood will be appearing at the 2018 Cincinnati Comic Expo as part of the Aw Yeah Comics team! Kurt is the creator of his own comics, Rumpuss and Wunderwear. In addition to working on various projects at Aw Yeah Comics Publishing, Kurt is credited with his work on Imaginary Tales Comics, HERO Games, and Amateur Thumb War Comics. 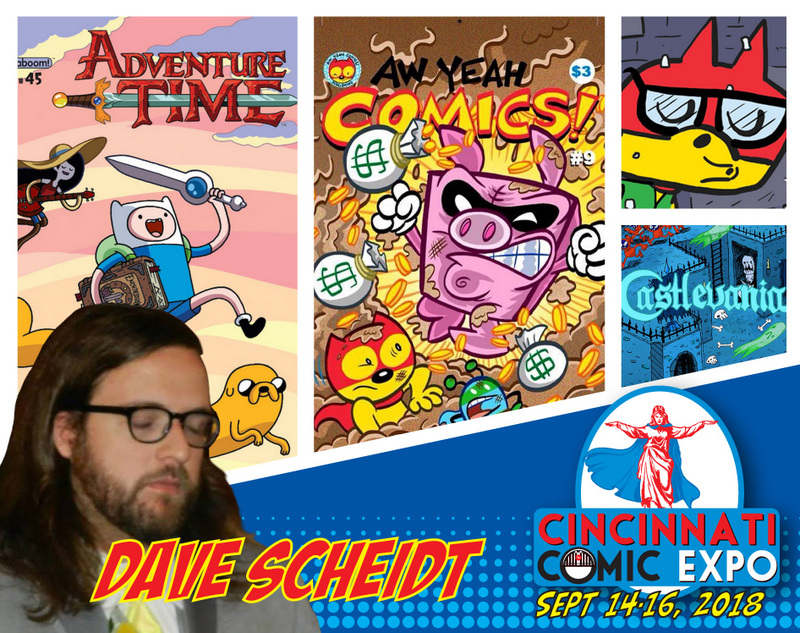 Comic book writer Dave Scheidt will be appearing at the 2018 Cincinnati Comic Expo as part of the Aw Yeah Comics team! In addition to working with Aw Yeah Comics, Dave has completed projects with Boom! Studios, Cartoon Network, Dreamworks, and others. His works include Dreamworks Trolls, Munchkin, Adventure Time, and so much more! 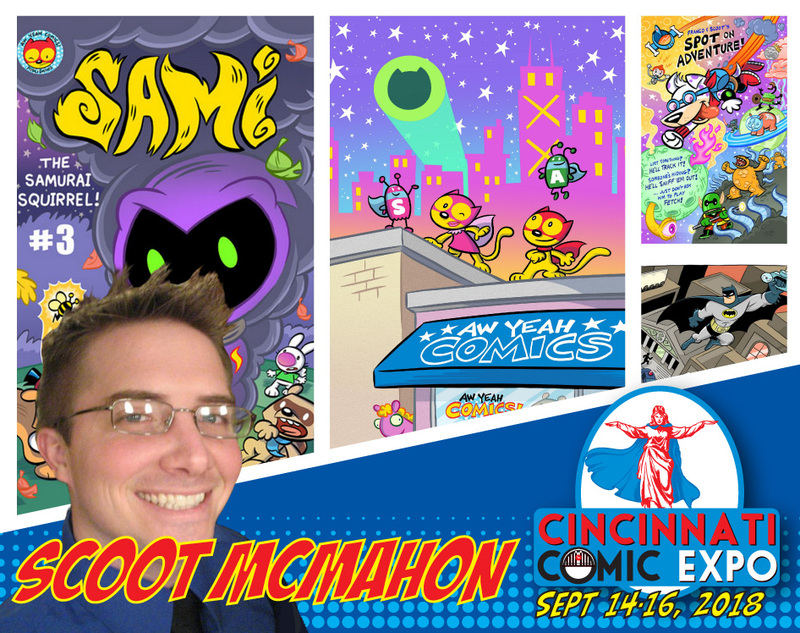 Cartoonist and writer Scoot McMahon will be appearing at the 2018 Cincinnati Comic Expo as part of the Aw Yeah Comics team! Scoot is the creator of SAMI the Samurai Squirrel and co-creator of Spot on Adventure. Besides his work with Aw Yeah Comics Publishing, Scoot’s other credits include comic books, children’s book illustration, character design, and story boarding. 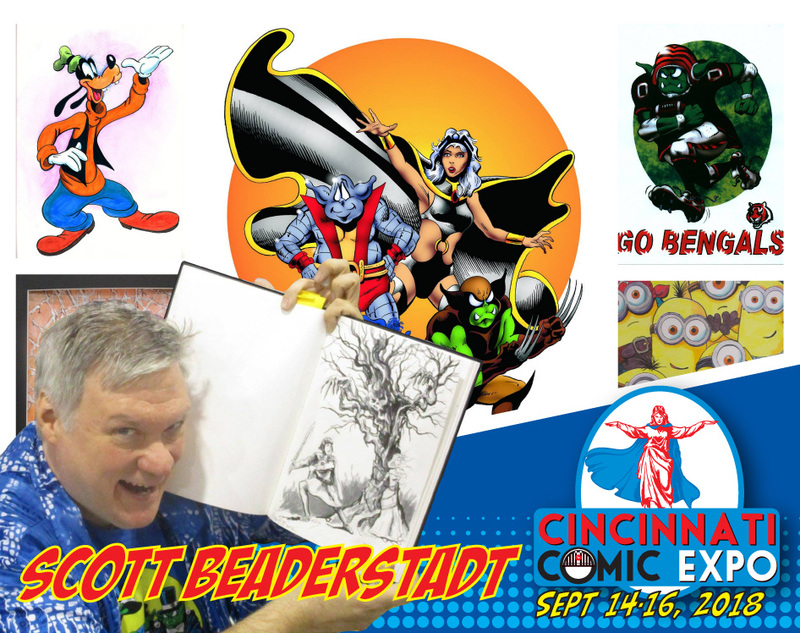 Artist and creator Scott Beaderstadt will honorably grace us with his presence at the 2018 Cincinnati Comic Expo! Widely known as the self-publisher for Trollords, Scott has done projects for Marvel, DC, and Archie Comics. He also contributes to Laugh-A-Gram Studios with Disney and Mayfair Games. His work has also appeared in Amazing, Heroes, The Mummy, Empty Love Stories, and more. 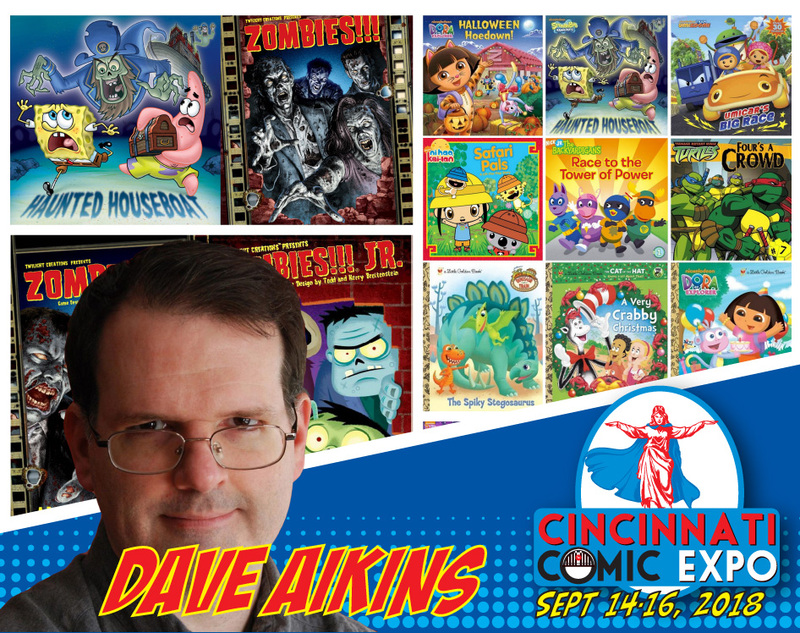 Freelance artist and illustrator Dave Aikins is returning for the 2018 Cincinnati Comic Expo! Dave’s work has appeared in numerous Nickelodeon projects including SpongeBob SquarePants and Dora the Explorer, as well as the Zombies!!! board game franchise and much more. Dave has recently been publishing books of sketch portraits. 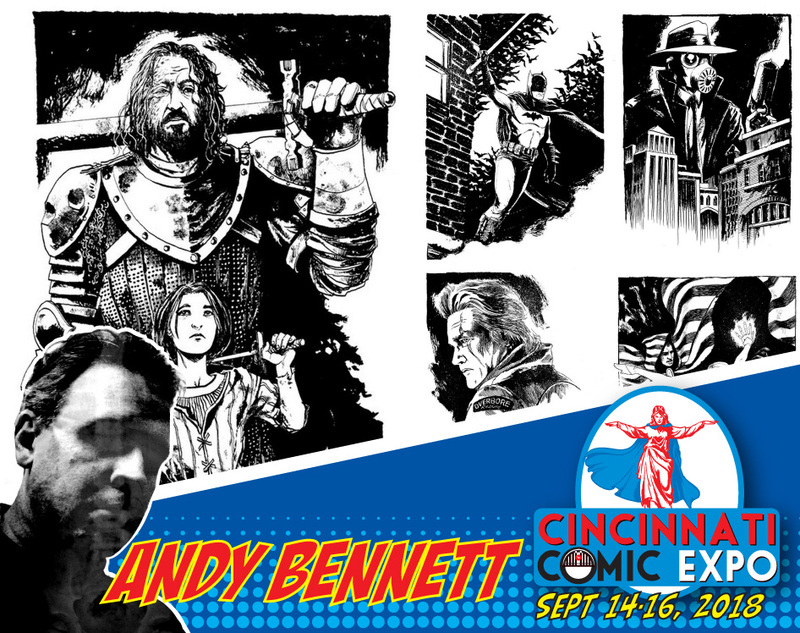 Artist and designer Andy Bennett will be appearing again at the next Cincinnati Comic Expo! Andy is currently a web designer for Highlights for Children. His previous projects include Saint Germaine and Ghost Sonata, Vampire The Masquerade, Kolchak the Night Stalker and The Phantom: Generations for Moonstone Books, and other titles from IDW Books, Fulcrum Press and BOOM! Studios.